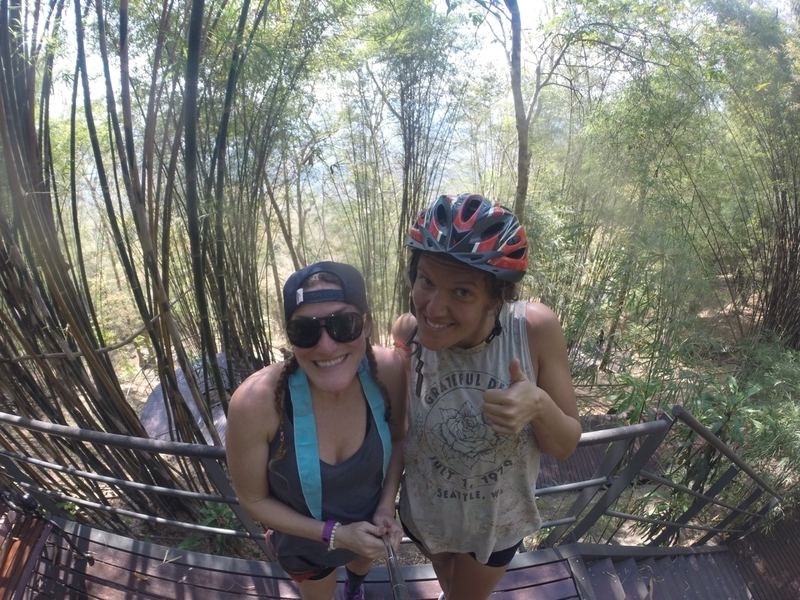 We have been biking since we were little but we’ve never considered ourselves cyclists and never thought we would be cycling in Thailand. Mel has biking in her blood as her dad, Duke, bikes every Friday and Sunday and has participated in many bike races during his life so far. 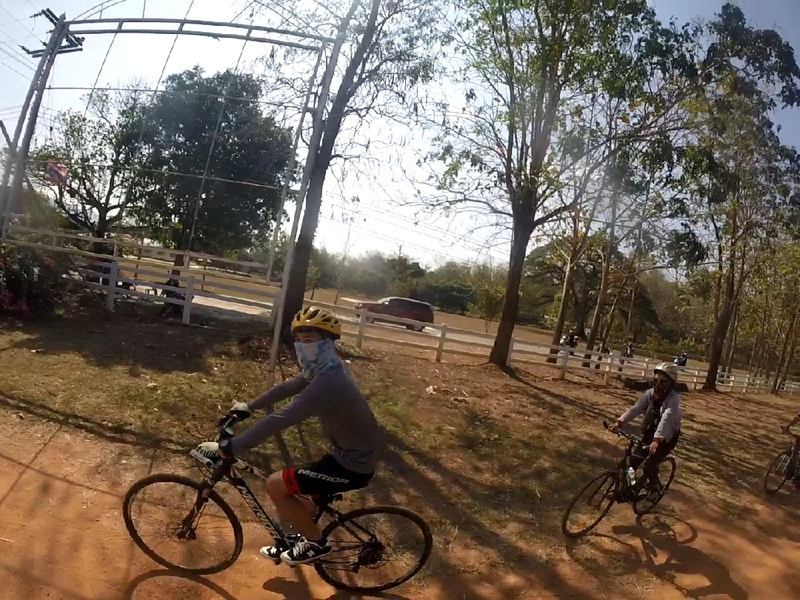 When we arrived at Baan Dada we found out they would be spending the weekend raising funds by cycling. We instantly thought Duke would love this! 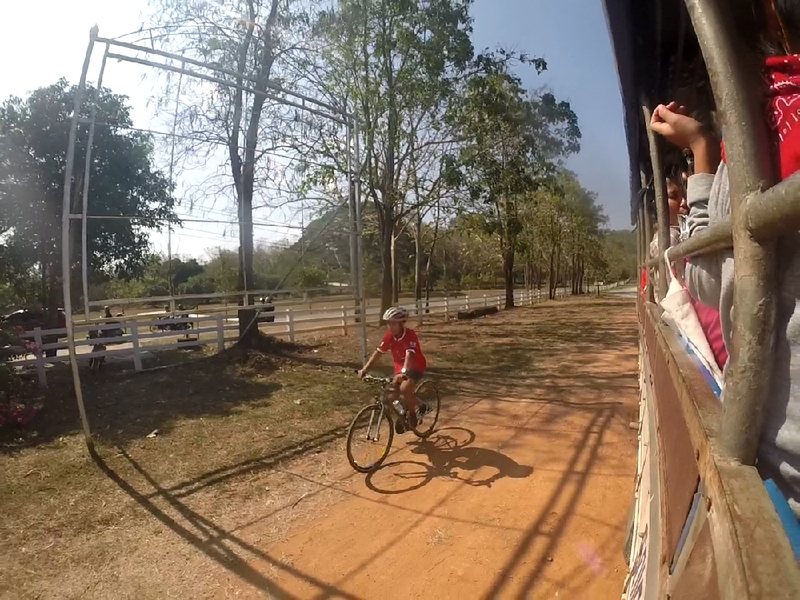 A group from Singapore would be arriving with the Thai Cycling Association, cycling and funding the event that would begin on Saturday outside of Kanchanaburi and end Monday at the home. The team from Singapore’s goal was to raise money to help the kids from Baan Dada attend college. The first group left Friday morning for a Saturday morning start. We left Sunday morning to join them for the day about 3 hours away from the home. We all piled into the school bus around 7:30 a.m. I rode in the front with Dada and chatted about Neo Humanism, which involves doing things for others beyond your community, just like us. It was so intriguing listening to the wisdom he has gained as a missionary coming from Indonesia. Mel rode in the back with all the kids and got to eat fun snacks for the road trip and listen to Taylor Swift. 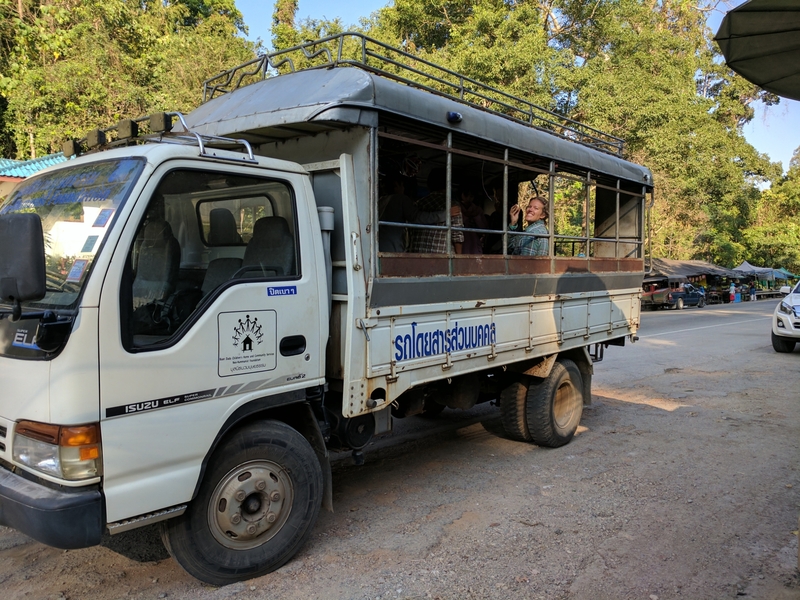 We stopped what seemed like a million times, backing up on a main road because we passed pineapple or stopping on the side of the road for 15 minutes for a rest. Their way of life is so different but it’s fun getting used to a more laid back approach. Everything is simple. It is really nice to not have to rush and Mel and I are still always the first ones wherever we go. 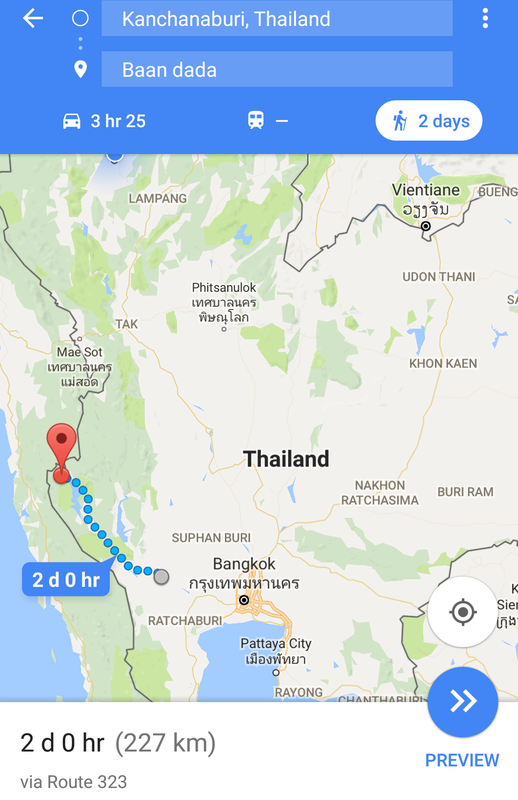 We arrived at the meeting spot around 11:30 a.m., which was at the Sai Yok Yai Waterfall, which is approximately 71 km from Kanchanaburi. We all grabbed lunch together before beginning to cycle. It was an amazing experience all sitting at a long table like the last supper sharing chicken on a stick, banana sticky rice, Coca-Cola and whatever other dishes they put in front of us. There were so many different cultures joining together for a great cause. We have the Singaporeans, Thai, Mon, Karen and Americans united, sharing, getting along, and truly enjoying each others’ company. Mel always making everyone laugh with her love for more chili sauce! We finally finished eating and while channeling our inner Duke we hopped on our bikes around 1:30 pm. It was a very different approach to biking than what we are used to. 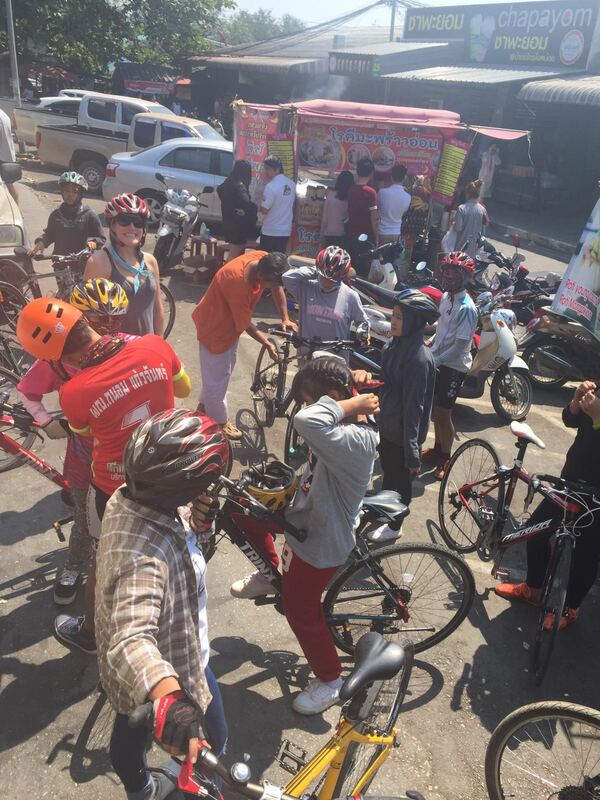 Normally, we would never start biking at the hottest part of the day, after eating a huge meal with Coca-Cola as our hydration. It did not seem to phase these little warriors one bit. The kids hopped on their bikes in long sleeves and pants, some wearing Crocs or sandals, others wearing proper cycling attire. It did not matter; they were just excited to be cycling. The original idea was Mel and I switch every 10 km or approximately 6.2 miles (don’t worry I had to look up the conversion, too), but here we have learned that nothing is ever set in stone. 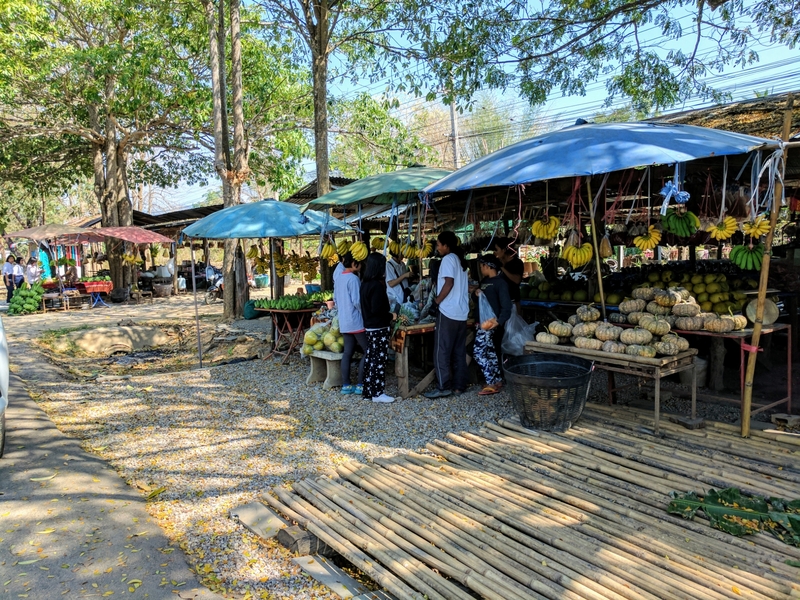 I rode in awe with my surroundings that I was actually in Thailand cycling with such a random mix of wonderful and sweet human beings. 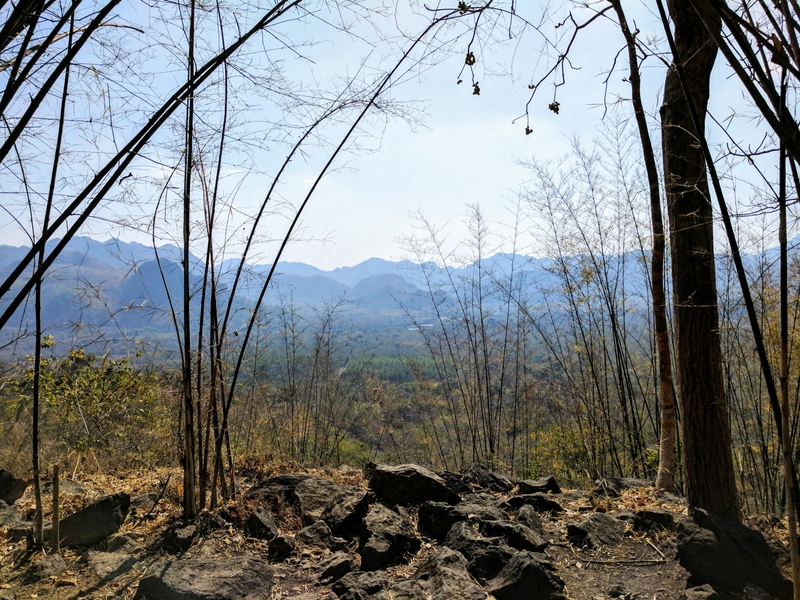 It was hot and challenging because there were many hills. The water checkpoints were not as expected either being that I was given a passion fruit juice box instead of what usually would be water. I was happy and living in the moment. I felt like I was going to throw up but I remained focused. I cheered on those who passed me. Then, Mel and the cheering squad came by yelling my name from the back of bus that got me so startled I nearly ran off the side of the road. The air was hot and the road was pretty busy so I was breathing in fumes. It was all worth it. We all come from so many different places but we were a team. 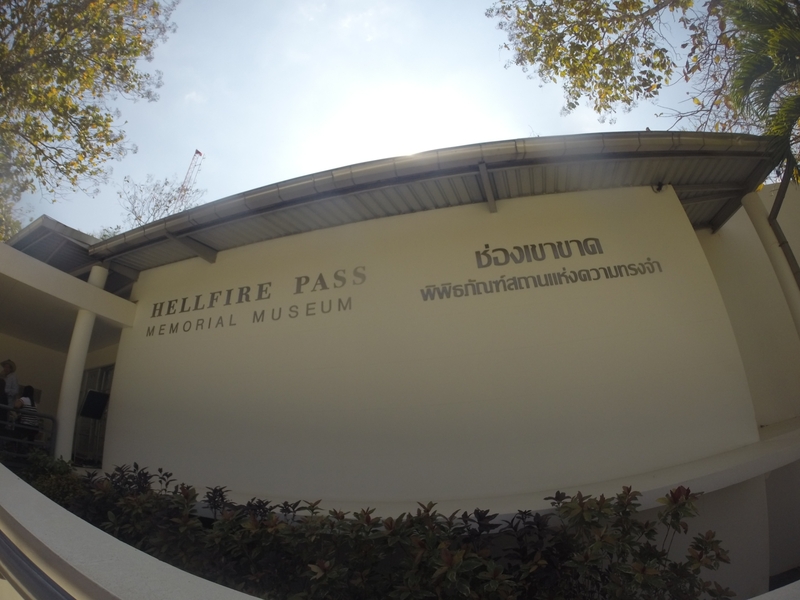 I lost track of how far I had gone and finally got to Hell Fire Pass., which was the only English word I understood at the starting point so I knew I was in the right place. Mel pulled up on the truck and I asked her if she was ready. She said she had already switched a few times with the kids. I had gone 20 kilometers! No wonder I was so exhausted. We took a break and explored Hell Fire Pass. Dada had explained on the way there that this place was constructed during World War II. 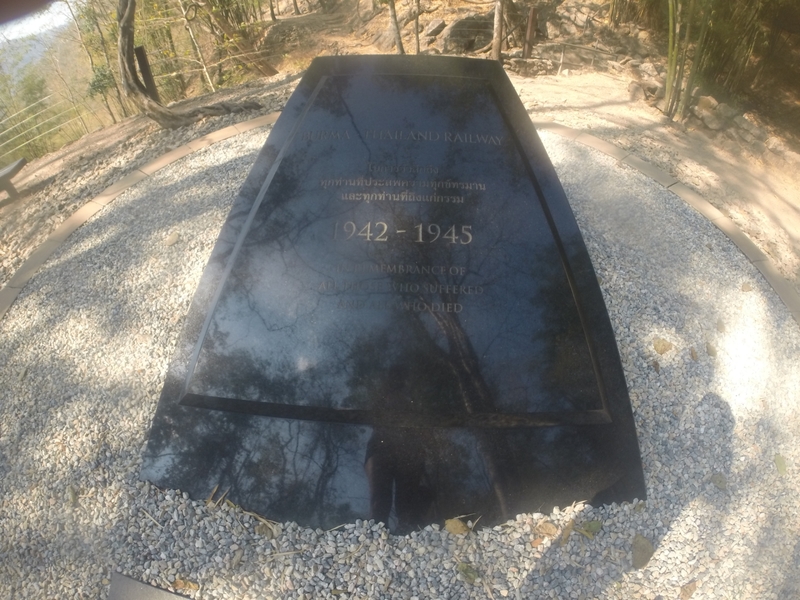 It’s a railway cutting the former Burma Railway that became infamous for its harsh conditions and loss of life since it was built by force at night by torchlight. 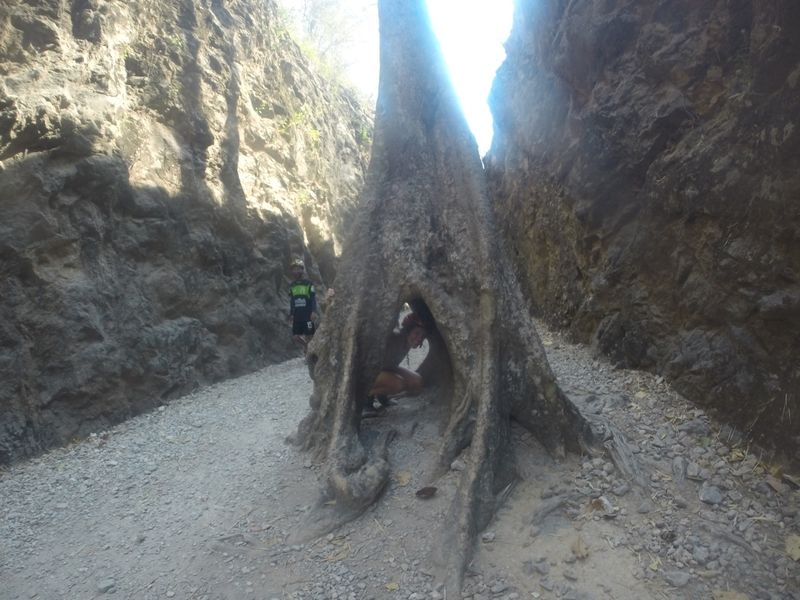 The scene was mountainous with rivers and jungle. You walk the railway paying respects to the lives lost. A sad but important stop in the area. 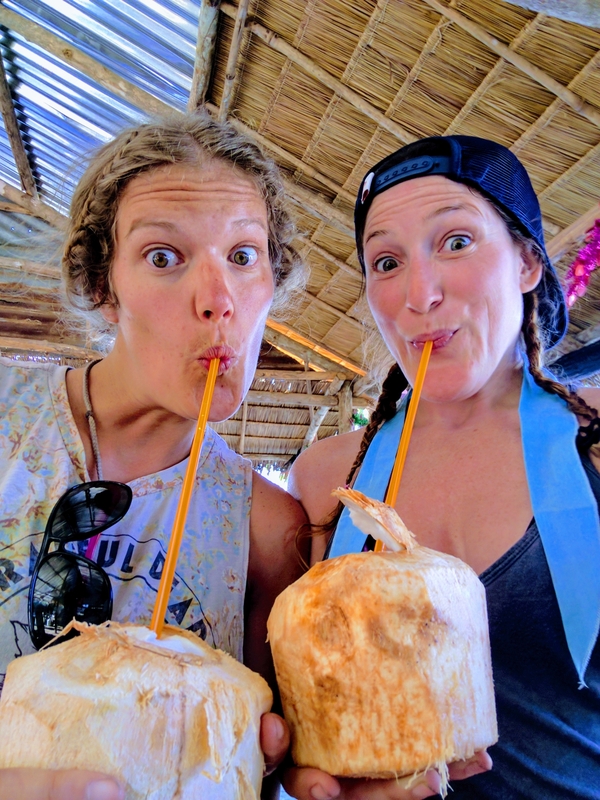 We took a stop again for refreshing coconuts on the side of the road before meeting at the Hindad Hot Springs. This would be the finish line for the day. Mel and I took that opportunity to take a quick dip to soak our muscles. 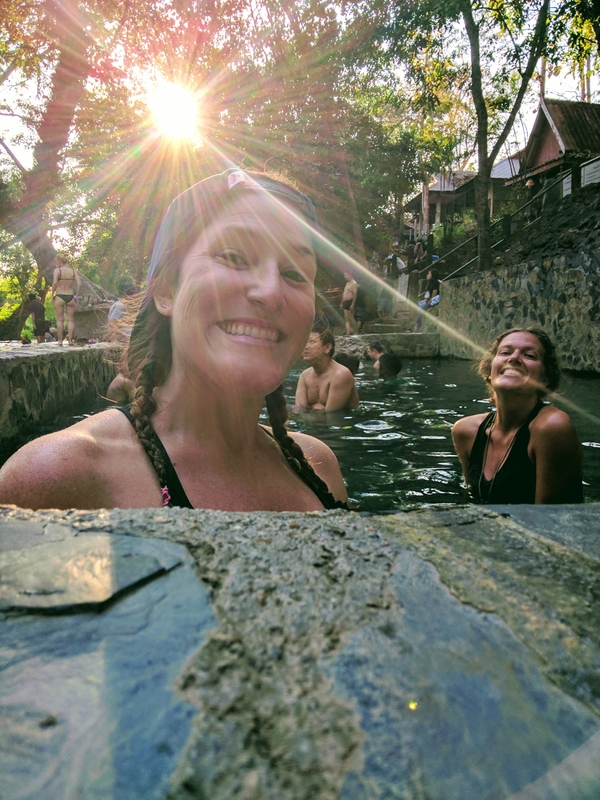 It was our first hot spring experience overseas. 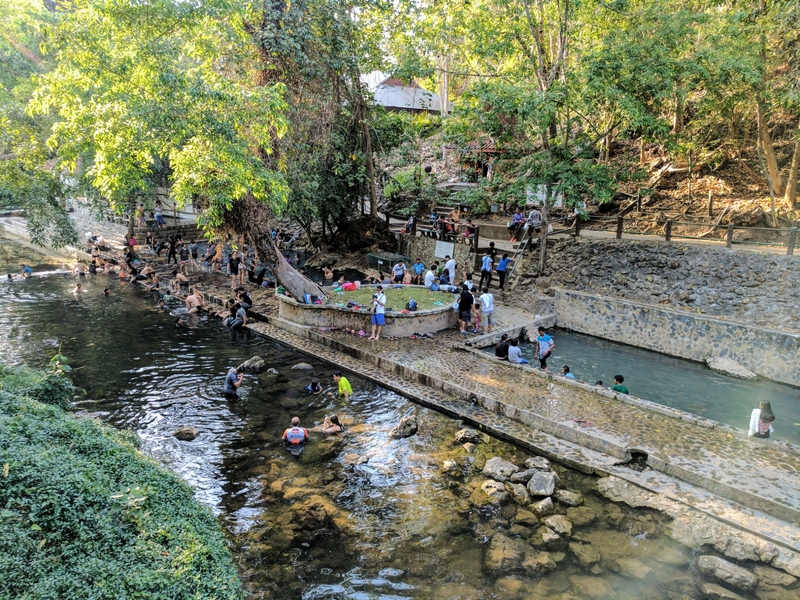 It was so hot outside but a cold river ran along the springs offering a place to cool off. Everyone was tired from a long day of travel, heat, and exercise. We were lead by the full moon back to Baan Dada. Closing out a day of forming bonds over the importance of helping those obtain something that most of take for granted – an education. How great it was to watch them care for one another, get each other to go the extra kilometer, share a drink along the route, offer a shoulder on the bus or a snack or a tic tac or a face wipe. We are all in this together no matter who you are or where you come from.